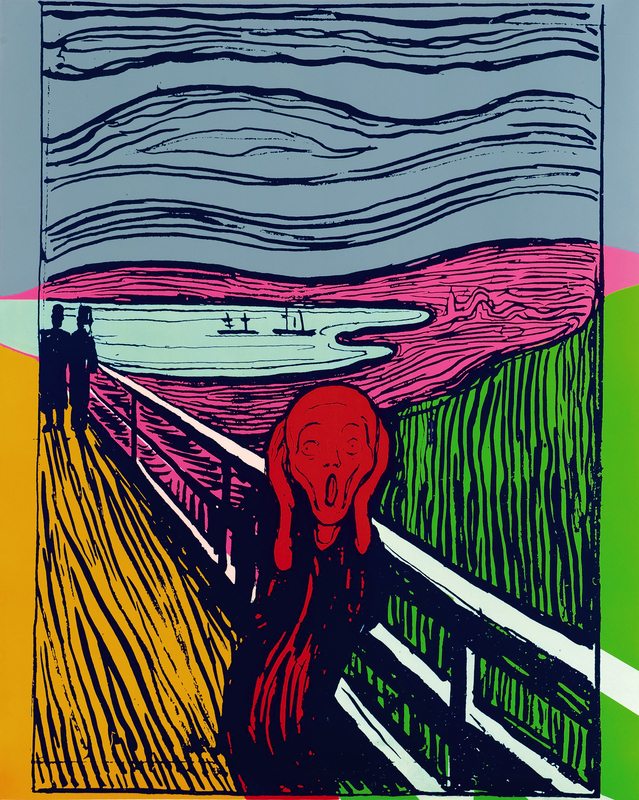 WARHOL meets Munch at Sotheby’s sale of Old Master, Modern and Contemporary prints in London on September 19. 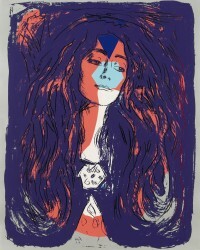 The auction will feature three exceptional prints by Andy Warhol which appropriate motifs from some of Munch’s most iconic works. 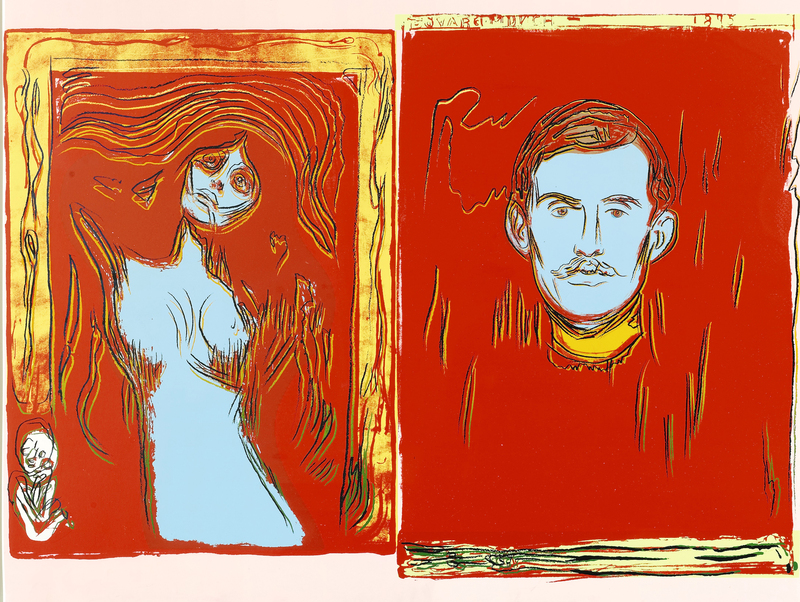 The Scream (After Munch), Eva Mudocci (After Munch), and Madonna and Self-Portrait with Skeleton’s Arm (After Munch) are a rare and enterprising offering from Warhol. 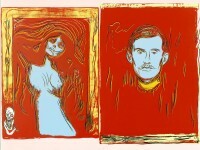 The three prints come to auction with a combined estimate of £500,000-700,000. 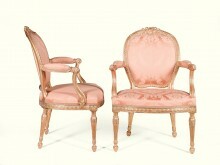 They are from a European private collection. 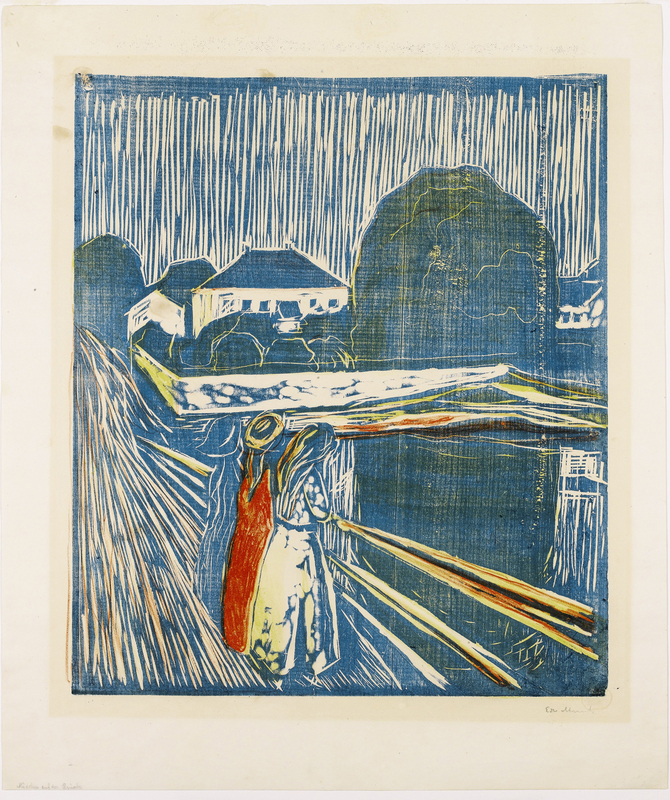 A woodcut by Edvard Munch which depicts The Girls on the Bridge, one of the artist’s most celebrated and popular compositions, is included. 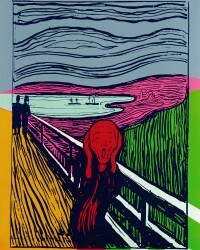 Printed in 1918 it is estimated at £180,000 – 200,000. Nearly 200 lots which showcase 500 years of print making will feature in the sale. A major work from abstract art pioneer Wassily Kandinsky comes under the hammer at Christie’s in New York in November. 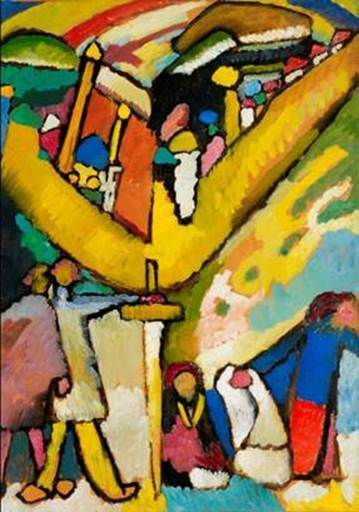 The auction house will offer Kandinsky’s “Study for improvisation 8” at its evening sale of Impressionist and Modern Art on November 7. The work is a fully realized study for the last of eight paintings created in 1909 which the Russian artist called “Improvisations”. The series is widely recognised for its significance to the advancement of abstract art. Estimated at $20-30 million the mystical scene of a conquering hero wielding a golden sword has the potential to set a new record price for any work by the artist at auction. The current record of $20.9 million was set in 1990. 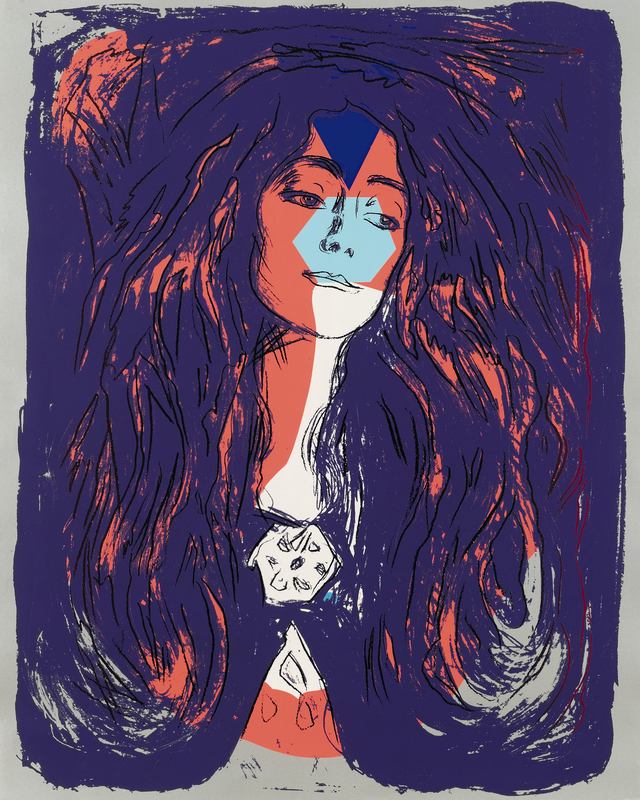 Studie für improvisation 8 is offered from the collection of the Volkart Foundation, a charitable trust founded by Volkart Brothers, a prominent Swiss commodities trading firm established in 1851. Since 1960, the painting has been on loan from the Foundation to the Kunstmuseum Winterthur in Switzerland. Over the years, it has been featured in major museum shows organized by the Tate Modern, Kunstmuseum Basel, the Fondation Beyeler and the Musée des Beaux-Arts in Montréal, among others. Crossing the Rapido III, 1998. Image courtesy of the artist. Photo: Anthony Hobbs. (Click on image to enlarge). Second World War work by Hughie O’Donoghue, who was not born until 1953, is on show at the Royal Academy in London. The five major works on show reflect the personal experiences of O’Donoghue’s father, Daniel O’Donoghue, during the Second World War. They came about as a consequence of sorting out his father’s effects after his death. The central work is Road, a painting in thirty-six panels that follows the journey of Daniel O’Donoghue during his time in the military. Part painting and part sculpture, O’Donoghue has used words, photographic images and pages of an old book to create a diary and chronological ‘remembering’ of Daniel’s experiences. The artist appropriated photographs that belonged to his father, images from the Imperial War Museum, as well as his own photographs taken when revisiting places where his father spent time in the war. Tomb of the Diver, 2002. Image courtesy of the artist. Photo: Anthony Hobbs. (Click on image to enlarge). “It is a process of re-membering rather than memory. There is a process of delving going on, an archaeological dig conducted in the medium of oil paint”, he explained. Four other large scale works including Crossing the Rapido 111, which is almost seven metres long, are shown. This measurement relates to the narrowest width and depth of the Rapido River near Cassino, Italy, during the harrowing crossing by the US 36th Infantry Division in 1944. The work has been made with water and graphite dust, sitting in a steel frame. Art by Manchester born O’Donoghue, whose mother was from the Mayo Gaeltacht and who lived for many years in Kilkenny, is in collections including the Irish Museum of Modern Art, Arts Council of England, the Art Gallery of South Australia, Adelaide, the Ashmolean Museum, Oxford, Birmingham Museum and Art Gallery, the British Museum, Ferens Art Gallery, Hull, Fitzwilliam Museum, Cambridge, Gemeentemuseum, The Hague, Netherlands, the Hugh Lane Gallery, Dublin, the Imperial War Museum, the National Gallery, London, Victoria Art Gallery, Bath, and the Yale Center for British Art, New Haven, USA. 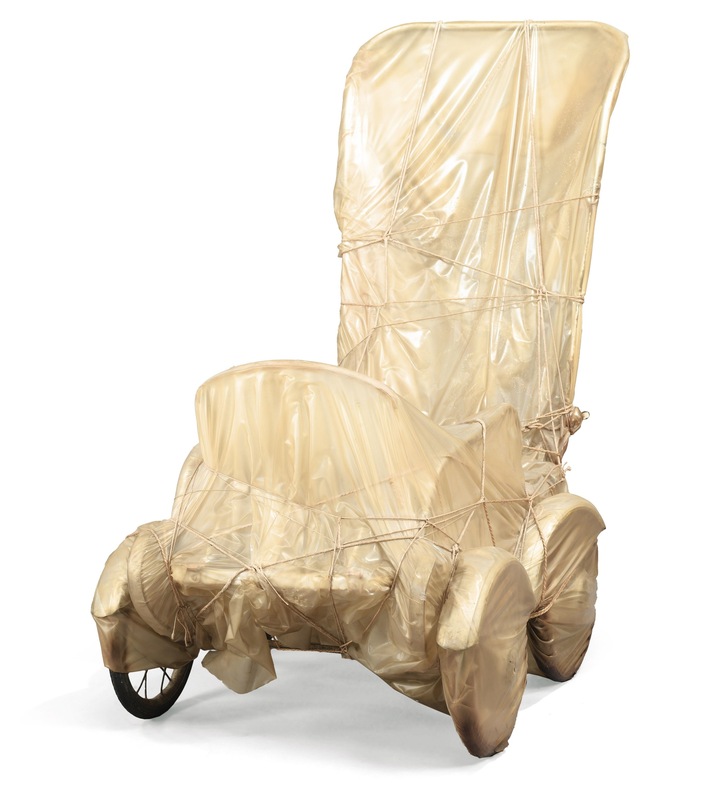 The show at the Royal Academy runs until October 14. A highlight of the auctions is this Qianlong green jade brush pot, masterfully carved with a scene of the Six Scholars of Zhuxi, estimated at $500,000-800,000. It was formerly owned by Heber R. Bishop (1840-1902), whose jades form the cornerstone of the collection at the Metropolitan Museum of Art. UPDATE: THIS MADE $482,500. Superb examples of art from China, Japan, Korea, India and Southeast Asia will feature in sales at Christie’s New York Asian Art Week from September 11-14. 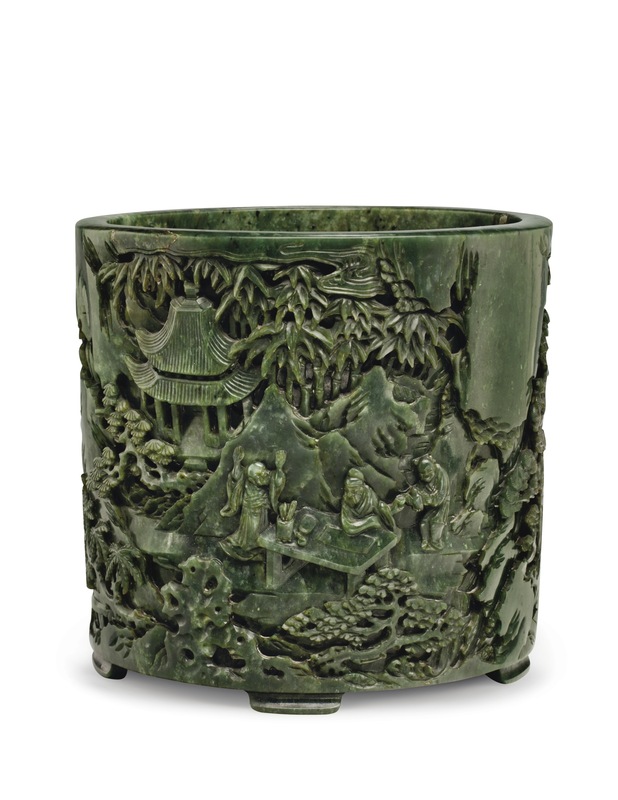 The Fine Chinese Ceramics and Works of Art sales on September 13-14 comprise over 500 lots and feature a broad range of art and objects, including jade, porcelain, ceramics, snuff bottles, and archaic and later bronzes. 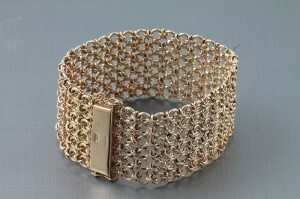 Estimates range from $5,000-800,000 and these sales are expected to bring in over $15 million. 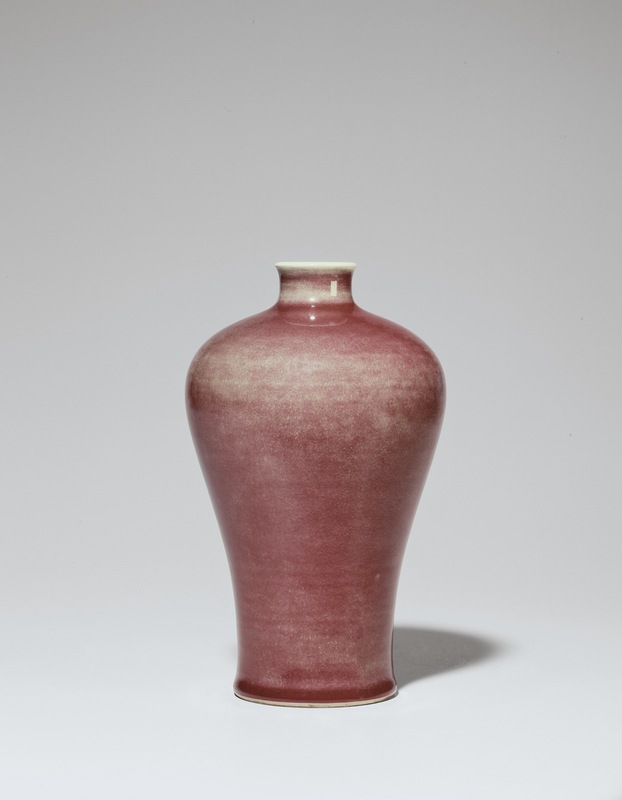 The sale of Japanese and Korean art is on September 11 with South East Asian Modern and Contemporary art and Indian and Southeast Asian art on the following day. Here are some highlights from the ceramics sale. Click on any image to enlarge. 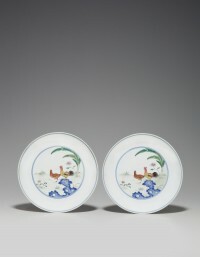 All images are courtesy of Christie’s Images Ltd., 2012. 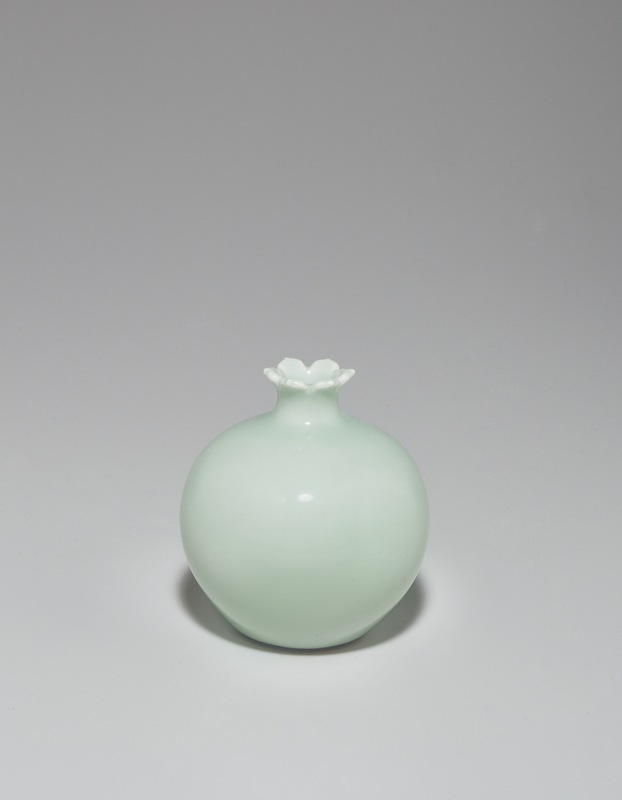 A Peachbloom baluster vase, Yongzheng Period (1723-1735) is estimated at $70,000-90,000. UPDATE: THIS SOLD FOR $122,500. 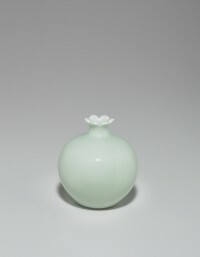 A Celadon Pomegranate vase Qianlong Period (1736-1795) is estimated at $40,000-60,000. UPDATE: THIS MADE $146,500. 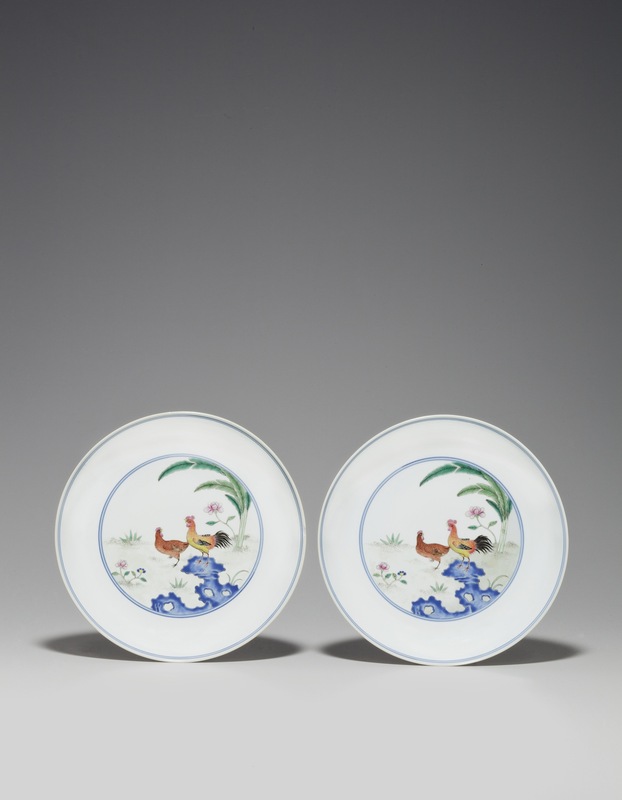 A pair of Famille Rose `Chicken’ Dishes Caihua Tang Zhi four-character hall marks Qianlong/Jiajing Period (1736-1820) estimated at $40,000-60,000. UPDATE: THESE MADE $62,500. An Irish mahogany side table last seen at auction in the Kilkenny Castle sale of November 1935 turns up again in Roscrea on August 29. 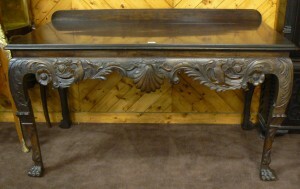 The table was purchased by the vendor’s family, who are from Kilkenny. 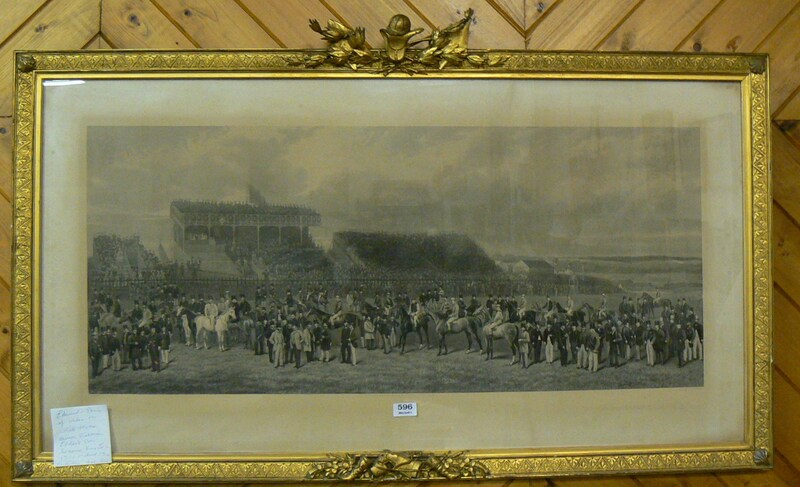 It is conservatively estimated at 3,000-5,000 at Victor Mitchell Auctioneers, Mount Butler Salesrooms at Roscrea in Co. Tipperary. 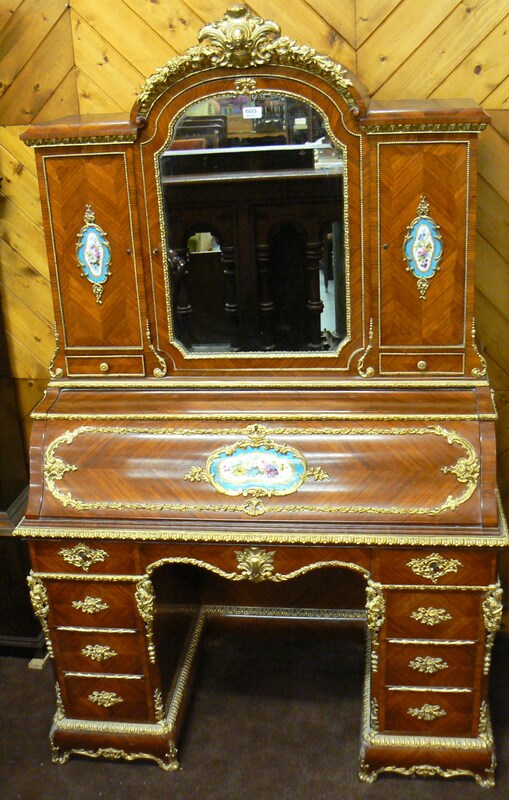 The sale of 650 lots contains almost the entire contents of Weston House, Kilkenny including Regency sideboards and pier cabinets and 19th century French furnishings. 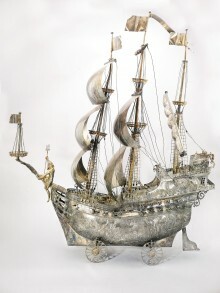 There are bronzes, Irish books, collectibles, paintings, lithographs, country style furniture and garden furniture. Here is a small selection. You can click on any image to enlarge it. The catalogue is on-line. The Irish side table from the Kilkenny Castle Auction of 1935 is estimated at 3,000-5,000. UPDATE: THIS MADE 4,400. 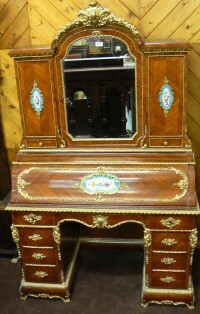 This Louis XV style desk with Sevres panels c1880 is estimated at 2,000 – 3,000. UPDATE: THIS WAS UNSOLD. 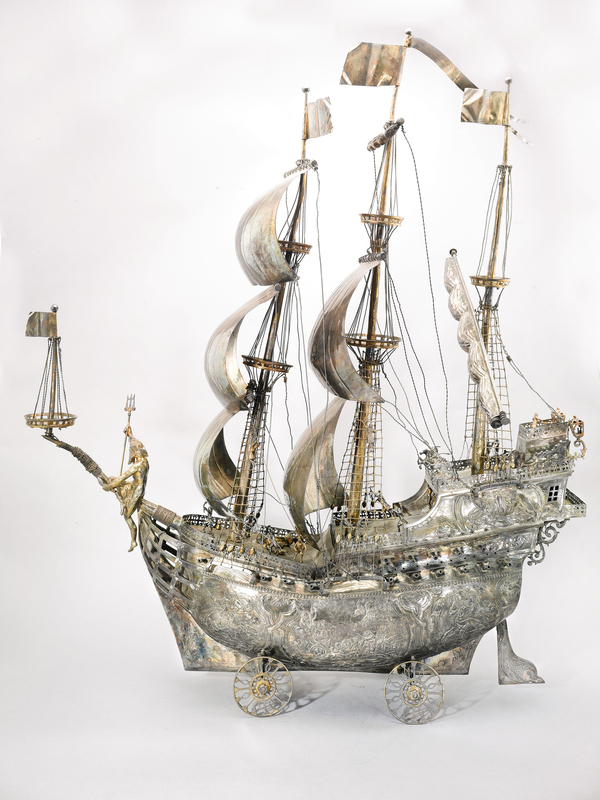 Fine and decorative arts from the 16th to the 20th centuries will feature at Sotheby’s inaugural “Collections” auction in London on September 27. The sale of English and Continental furniture, clocks, tapestries, rugs, silver, Chinese export porcelain, sculpture and Old Master Paintings will feature 306 lots. Estimates range from £500 to £100,000. 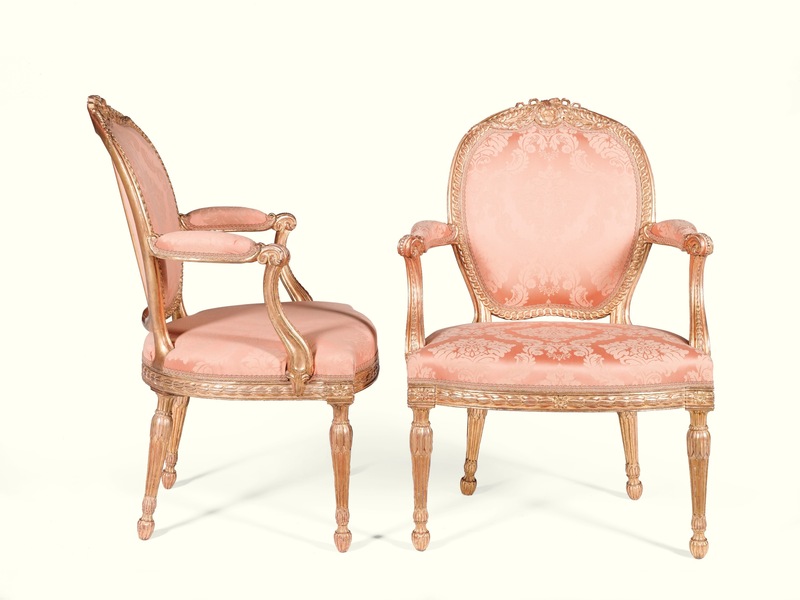 Mario Tavella, Deputy Chairman, Sotheby’s Europe and Henry House, Senior Director and Head of Department, English Furniture, commented: “We are delighted to present the first of our “Collections” auctions, which have been designed to offer our decorative arts and furniture clients a completely new perspective. Here, carefully curated in one auction, we have, in effect, discrete single owner sales, each offering historic, fresh to the market works, which should delight the decorator, connoisseur and collector alike.” The auction has a combined estimate of more than £1.7 million. Here is a small selection. You can click on any image to enlarge it. UPDATE: THE AUCTION REALISED £1,984,752. 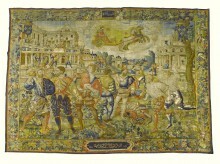 An allegorical Flemish tapestry from the series depicting the planets after woodcuts by the German artist Georg Pencz. 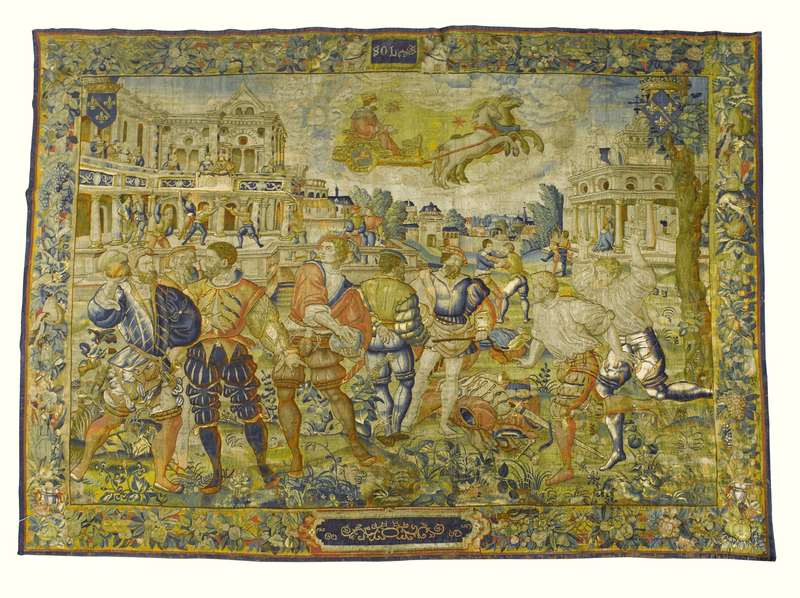 Dating from the mid-sixteenth century the tapestry depicts the sun (Leo) ascending to the heavens in a chariot, and is estimated at £50,000-60,000. UPDATE: THIS MADE £43,250. THE terrible attempt at restoration of this 19th century Spanish fresco near Zaragoza in Spain might be of interest to art collectors keen to develop their eye. 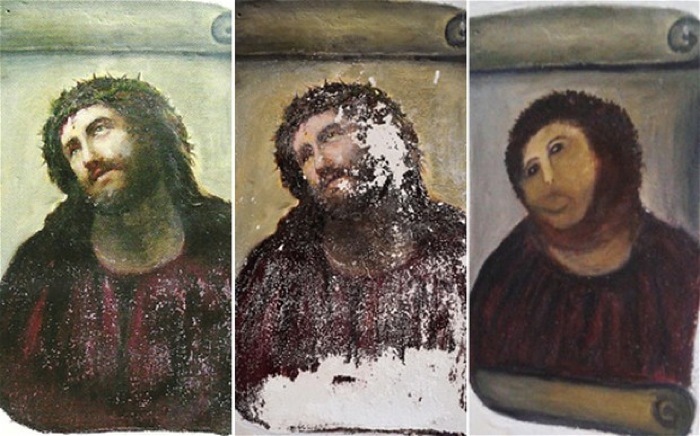 The work was carried out, without permission, by an elderly woman who attempted to restore “Ecce Homo” (Behold the Man) by painter Elias Garcia Martinez at the Santuario de Misericodia church in Borja. The first photograph on the left was taken in 2010 and shows slight speckling. The middle image, taken last month, shows large patches of white. 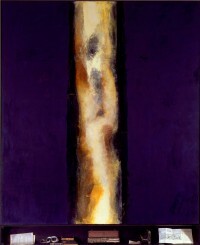 There is a theory that the woman had already begun her work, and the white marks result from paint being scraped away. The last picture shows the final result. The face of Jesus is rendered in broad brush strokes, removing any subtlety. The expressionless eyes are a disaster. Thick layers of dark paint cover details including the crown of thorns. The crude destruction of the work could not be more obvious. A friend who collects has long argued that any buyer of art must continually refer to the work of the masters. In order to acquire the best an art collector always needs to keep his or her eye in. These images, admittedly an extreme example of the transformation of a good facial image into a very bad picture, are a good demonstration of why this is so necessary. 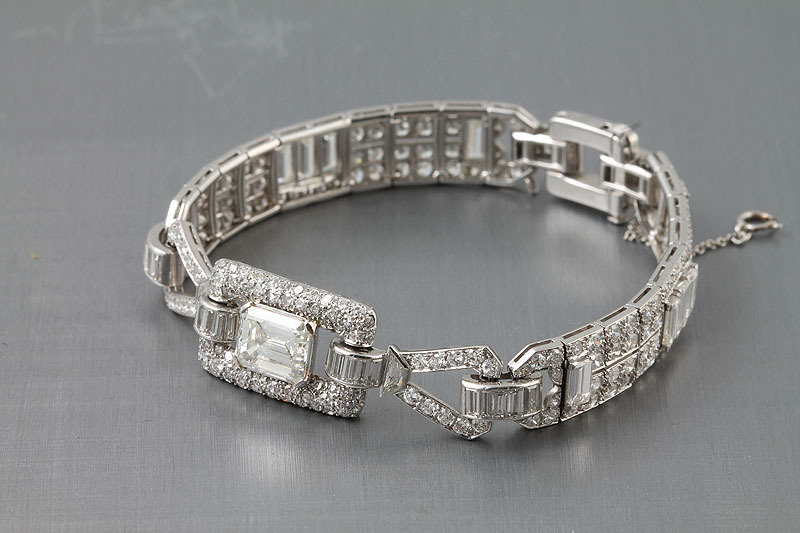 DIAMOND BRACELETS, RINGS, VINTAGE JEWELLERY AT O’REILLY’S, FRANCIS ST.
A diamond and sapphire bracelet, Art Deco diamond panel bracelets, solitaire rings and antique, modern and vintage jewellery will feature at the sale at O’Reilly’s, Francis St., Dublin on August 29. The sale will include around 400 lots including a collection of gold coins and gold jewellery as well as silverware and paintings. The catalogue is on-line. An Art Deco diamond bracelet at O’Reilly’s in Dublin is estimated at 22,000 – 26,000. (Click on image to enlarge). UPDATE: THIS SOLD FOR 26,000. 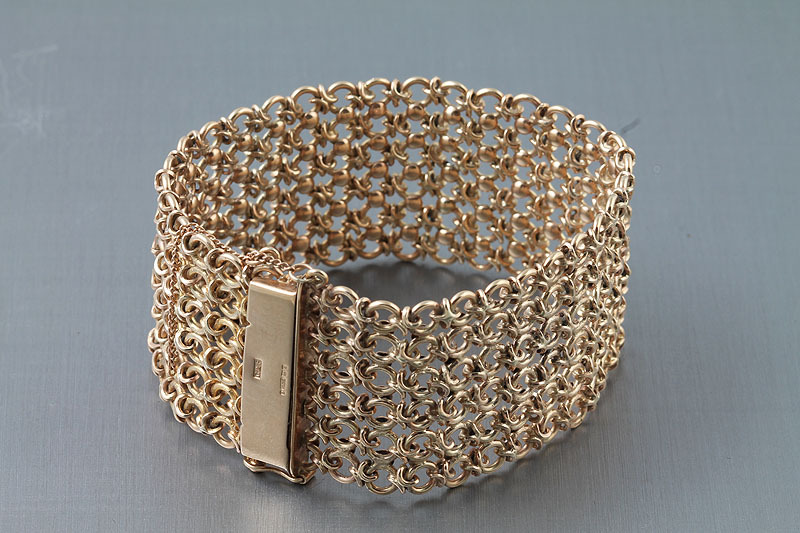 This 9 carat yellow gold wide mesh link bracelet is estimated at 1,200 – 1,400. (Click on image to enlarge). UPDATE: THIS MADE 1,100. 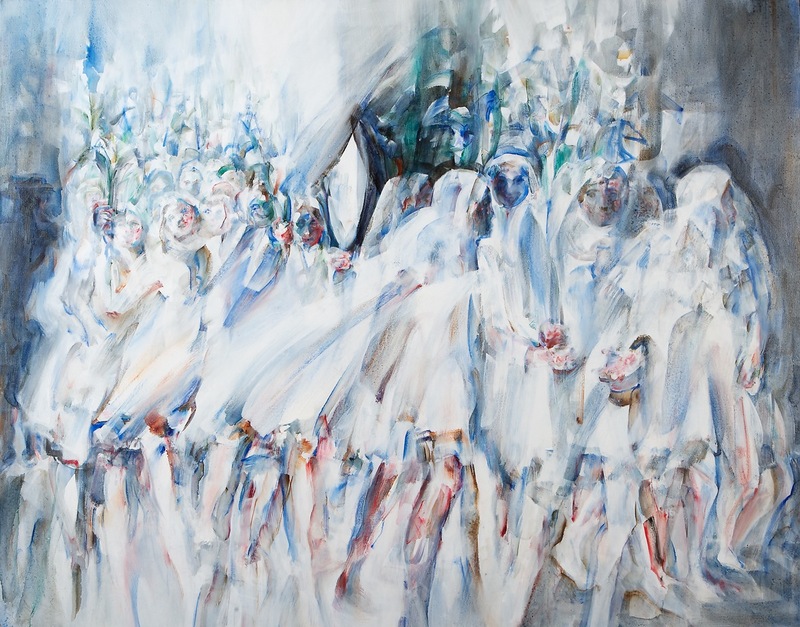 Posted in AUCTIONS | Comments Off on DIAMOND BRACELETS, RINGS, VINTAGE JEWELLERY AT O’REILLY’S, FRANCIS ST.
Procession with Lilies by Louis le Brocquy from the Independent collection at Adams. (Click on image to enlarge). UPDATE: IT MADE 320,000. Procession with Lilies by Louis le Brocquy is the most important piece of art in the corporate collection of Independent News and Media to be sold by James Adam in Dublin on September 26. Painted in 1984-5 it drew its inspiration from a 1939 Evening Herald photograph showing schoolchildren with lilies blessed at the Franciscan Church at Merchant’s Quay in Dublin on the Feast of St. Anthony. It has a top estimate of 250,000. The work is particularly well known, and was the subject of a limited edition and popular lithograph. The 67 pieces from the Independent’s collection were deemed unsuitable for the new largely glass walled corporate headquarters in Dublin’s city centre. The collection was put together by the late Vincent Ferguson, well known collector and patron of artists, and a director of the newspaper company. The focus is on Irish contemporary art of the 1980’s/’90’s and it includes work by Basil Blackshaw, T.P.Flanagan, Brian Ballard, Eithne Carr and many others. Adams have put a low estimate of 350,000 on the 67 works. A rich overview of contemporary art in France since the 1960’s will come under the hammer at Sotheby’s in Paris on September 24. Around 100 lots from the Marcel Brient Collection of Contemporary Art shows extraordinary diversity from the collection of an intuitive, free-thinking Frenchman. It offers an insight into the work of artists in France over 40 years, discreetly amassed over the past four decades. The collector maintained close relationships with Galerie Durand-Dessert, Galerie Maeght, Galerie de France and the dealers Claude Bernard and Yvon Lambert, among others. A number of encounters have guided his eye down the years, the most decisive being that with Louis Clayeux, Director of Galerie Maeght in Paris from 1948-65, who took him to visit Alberto Giacometti in his studio. Other gallerists were equally influential – like Karl Flinker, who sold him a gouache by Jean Helion, and Jean Fournier, who sold him a pastel by Joan Mitchell. Marcel Brient has the distinction of being one of the first major collectors to buy works by Jeff Koons, John Currin, Takashi Murakami and Felix Gonzales-Torres – not forgetting Georg Baselitz, Sigmar Polke and Kara Walker. The artist’s nationality was irrelevant; his taste and eye that led him to the artists he admired. UPDATE: THE SALE REALISED 5,120,975 EURO.